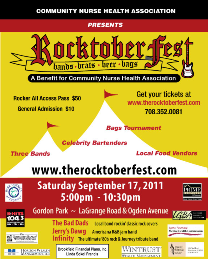 Celebrating 90 years of service to the community the Nurses Association is donating two tickets to Rocktoberfest on Sept. 17th to one lucky winner. The tickets will go to number 90. This is an evening of bands, brats, beers and bags to benefit a great organization.